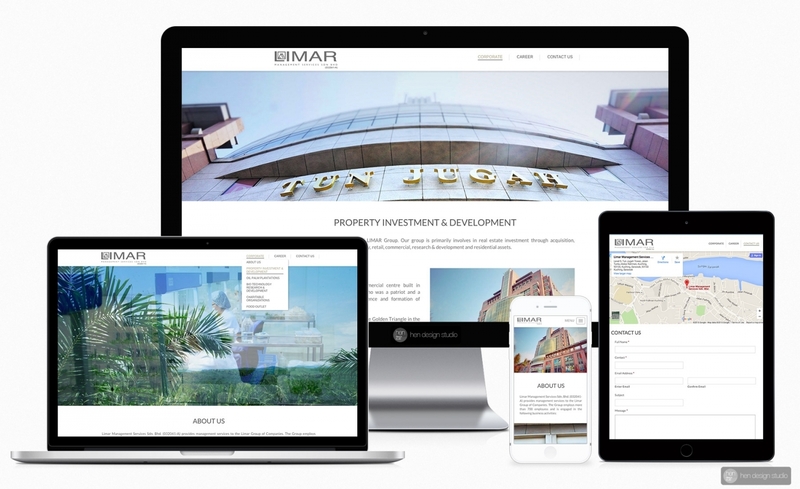 Limar Management Services Sdn. Bhd. (032041-A) provides management services to the Limar Group of Companies. The Group employs more than 700 employees. Client would like to revise their corporate website into modern, responsive, easy to navigation and read, with friendly content management system that allow to manage their website content easily, together with career listing and submission system. Content management system – content can be easily manage by end-user without any advance programming knowledfe, simple as using Word Editor/Facebook. Menu, slider, picture, social network, google map, all easy to change from backend system. Career listing system and each submission will be keep inside the backend and sending to the relevant email at the same time. Optimised for fast loading, compatible with iPad/iPhone/Androids tablet etc. and different kind of modern web browsers. Hen Design Studio. © 2019. All Rights Reserved.